Computer Troubleshooters offers high-quality, affordable computer repair and troubleshooting services, plus a range of IT services including data backup and recovery, security services, remote support services, and managed services. Whether your computer is for personal or business use, our experts have the experience and expertise to keep your laptop or PC running in prime condition for longer, saving you time and money. And because every single CT office is locally owned and operated, we guarantee the highest level of personalised repair and impeccable customer service. Stop into one of our locations or give us a call to see how we can help you! Customised solutions that fit your needs and budget. 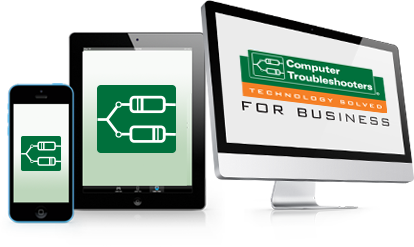 Computer Troubleshooters is the world’s largest computer and technology services franchise network. We understand the industry and what it takes to build a successful technology services business. We strive to bring the very best opportunity to our Ireland and Northern Ireland franchise owners through product development, vendor programmes, support, training and our worldwide community of owners. We provide a comprehensive range of computer and technology solutions to small business owners (typically with 1 to 50 devices) and private home users. Whether you are looking for help with technology issues, problem prevention, virus and spyware protection or data recovery and backup solutions, Computer Troubleshooters can help. 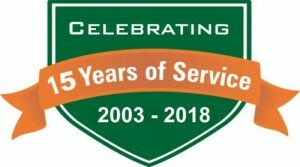 Now celebrating 15 Years in Ireland. My name is Helena Hennelly and I am the owner of Hennelly Finance here in Galway. We are he Chapters Life, Pensions and Health Insurance Broker and 18 years in business. This morning I am happy to provide a testimonial for Enda and Computer Troubleshooters. We have been using CTS for a number of years. I cannot recommend them highly enough. Computer Troubleshooters have ensured that our data is safe, encrypted and have advised us on GDPR compliance. We find Computer Troubleshooters to be extremely competent, competitive and most of all offer very responsive customer service. Because of their responsiveness, we rarely have downtime which when your depends on technology, you know how important not having downtime is! Thank you Enda and Computer Troubleshooters.